The sounds of James Brown filled Crenshaw Boulevard at the 12th Annual Taste of Soul (TOS), the largest street festival in Los Angeles, on Saturday, Oct. 21. Over 300,000 people gathered to experience world-class musical performances, services offered from home improvement to voter registration and of course a whole lot of food. TOS provides business owners with an opportunity for economic growth, selling their goods to the community. 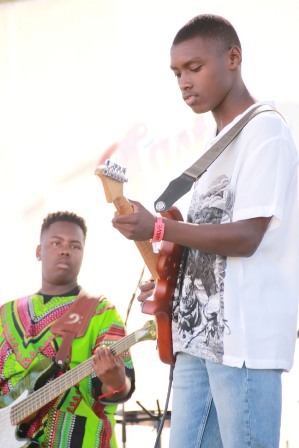 It also affords a platform for young musicians, like the Connect Band, to showcase their talent in front of a large audience. Festivalgoers situated chairs, tents, and umbrellas in front of the WAVE stage hours before the band took the stage. “There was so much energy for it to be so early in the morning,” observed actor Richard Brooks, who introduced the trio of young musicians, who came together three short years ago. 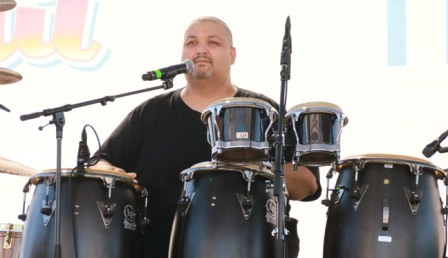 Last year, the Connect Band was the designated house band for the StarQuest Stage. This year, the band leveled up as the opening act on the main stage. With one of their members still in high school, the trio said it was an honor to be performing on the same stage as some of their inspirations. Chosen Gospel Recovery Ministry was the second performance blessing festivalgoers with sweet spiritual hymns. The group spoke about a higher purpose than simply singing the gospel. As TOS has expanded and grown, so has its sponsorship and partners. Airbnb was one of the returning sponsors seen on the back of every official TOS shirt. Danny Bakewell, Sr. made a special presentation on the main stage, joined by community leaders and festival sponsors, including Choi, alongside L.A. County Board of Supervisors Chairman Mark Ridley Thomas, Councilmember Curren Price and L.A. Deputy Mayor Brenda Shockley. “We are really blessed to have people who embrace the vision, because they know the community embraces the vision,” said Bakewell, Sr.
Deputy Mayor Shockley took that time to announce a joint effort with TOS to address homelessness in the county of Los Angeles. The two entities have launched a hygiene drive to provide resources like shampoo, conditioner, soap, lotion, socks and underwear to the unsheltered population as the Black population remains the largest racial/ethnic group of homeless people in Los Angeles. The WAVE has been a partner of the festival since its inception. 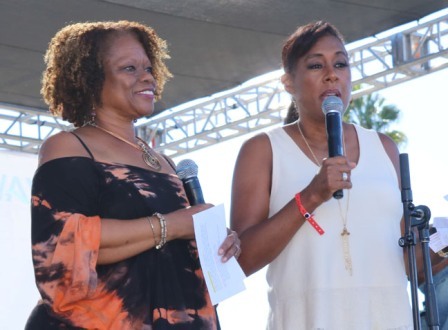 The WAVE morning show host, Pat Prescott, and CBS LA news anchor, Pat Harvey, co-emceed the main stage as the “Pat Pat show”. “You sit in that studio and you talk to the listeners every day, but it’s at events like this that you get to meet them face-to-face, and I enjoy that,” Prescott said. 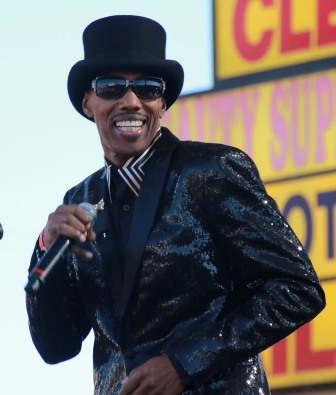 Similar to Prescott, the leader of the Ohio Players, Diamond Williams, em­phasized the importance of interacting with the community. Williams has toured with the likes of Marvin Gaye and sold out venues as big as the Hollywood Bowl. He remains steadfast that performing for the people is priceless. The Ohio Players brought the sun down as the closing act. The group performed some of their greatest hits including, “Heaven must be like this”. For Bakewell, Sr. and the Crenshaw community, the 2017 TOS was very close to divinity.